You’ve Been in a Serious Car Accident. Now What? The National Highway Traffic Safety Administration (NHTSA) recently released its report summarizing crash statistics for 2016. While the report demonstrates a decrease in the number of fatalities, there were over 7 million car accidents that resulted in more than 3 million injuries. Despite how common they are, car accidents can be a major disruption to your life, especially if you sustain serious injuries. Not only do you need to repair or replace your vehicle, but you may need prolonged medical treatment and physical therapy. You may have to miss work and deal with lost income. Meanwhile, bills are piling up and insurance companies are pestering you with questions. You can get overwhelmed very quickly and feel like you don’t know what to do next. 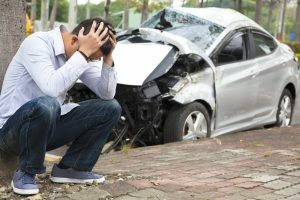 If you’ve been involved in a car accident, this post will hopefully give you some direction to help you move forward and get back to normal. Your health should be your number one priority. Don’t ignore any symptoms, even if you think they’re nothing to worry about – stiffness, soreness, aches, and pains can indicate more serious injuries. If you haven’t already, go see your doctor and get checked out. Follow your doctor’s orders and get plenty of rest. It’s also important to realize that many injuries may not manifest themselves right away. Some may not be apparent for days or week. Again, listen to your body. If something doesn’t seem right, go see a doctor. Lastly, not all injuries are physical – car accidents can cause a lot of mental trauma as well. PTSD, depression, and anxiety are very common for people who have been involved in serious car accidents. This can be a minefield, as the insurance companies are going to want to settle the case as quickly as they can and for as little money as possible. We recommend that you read our previous post on this topic. Unless the accident was captured on video, the insurance companies, the police, and possibly your lawyer will have to reconstruct what happened. To make your case, you want to have as much documentation as possible. Take lots of pictures. Photograph your injuries, the damage to your vehicle, and the scene of the accident. Take pictures from multiple angles and in different lighting. Write down what happened. Provide as much detail as you can about what you believe occurred during the accident. Record the date, time, traffic and weather conditions, the direction you were traveling, and anything else you can remember. Get statements from any witnesses. Memories fade over time and so it’s better to get it now than rely on what they remember months down the road. Keep a copy of any records related to the accident – bills, medical records, repair estimates, correspondence with insurance companies, and so on. Do your best to keep them organized, but at a minimum, keep them together and keep them in a safe place. In addition, be sure to get a copy of the police report. You may have to follow up a few times, but this document will be very important if you need to move forward with a personal injury claim. If you think the accident is the result of someone else’s carelessness, you may want to discuss your case with a personal injury attorney. They can evaluate your case, explain your options, and help you manage every aspect of the claim from dealing with the insurance companies to coordinating treatment plans. We’ve been helping accident victims in Atlanta and across the state of Georgia since 1992. We offer our clients personalized, aggressive representation to get them the compensation they deserve. If you’d like a free consultation with one of our attorneys, call at 888-474-9616 or send us an email.